AutoNumber is an add-on product that can create a unique, easy to read reference number for records in the Dynamics 365 & CRM 2016, 2015 systems. This tool allows system customizers to add AutoNumbering to CRM entities that are not supported by the built-in numbering system. It makes it easy to create an AutoNumber that can be used by users to uniquely identify a record in the system without referencing another field or the GUID. The AutoNumber can be used to link the CRM record with other systems – a back office system or accounting applications or even paper files. AutoNumber supports all custom entities and systems entities that users are permitted to create new attributes. AutoNumber for Microsoft Dynamics 365 & CRM 2016, 2015 OnLine and OnPremise, and OnPremise IFD mode is available. Load balancing installations are not supported. Supports all systems entities that accept new attributes. Supports records generated by Workflow. An AutoNumber can also be applied to entities that have a numbering system already such as Contracts, Cases, Articles, Quotes, Orders, Invoices, and Campaigns. AutoNumber field can be set to be read only or does not even have to be published to the form. There can be more than one AutoNumber for a record (i.e. multiple fields). Customizable prefix and suffix for each entity including setting the length of the prefix and/or suffix. Starting AutoNumber can be set by the user. The amount of increment can be set by the user. At anytime the admin can stop, reset or restart the AutoNumber parameters. Records created prior to starting the AutoNumber system can be numbered by the AutoNumber add-in. Preview the format of the AutoNumber. Supports online and offline users. (AutoNumbers are added to records when the user goes back online). AutoNumbers will never be duplicated or re-used. The system is enterprise class as there is no possibility of using the same number for 2 different records. If a record is deleted or deactivated it’s number will not be used again. 1. Do I need to have .net programming skills to install and configure this tool? 2. What system rights does the person installing the add-in require? System Administrator access to the CRM and domain admin rights & Deployment Administrator on the CRM server. 3. Does this work in the web client and the outlook client? Yes, but when off-line the autonumber won’t show up until they sync. 4. How does the AutoNumber work when the user is offline with the Laptop for Outlook Client? 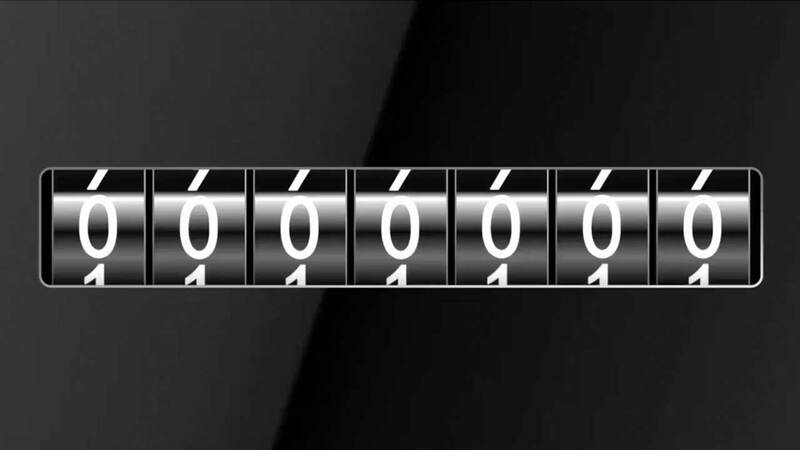 The number will be assigned when the record is synchronized with the server. 5. Is it possible for two records to be assigned the same number? 6. Can I have different numbering systems for different entities? Yes. Each entity can have a unique prefix, suffix, starting value and length. 7. Are AutoNumbers text values or numeric values? AutoNumbers attributes are nvchar fields. 8. Will the AutoNumber tool assign numbers to records that were created prior to the installation of the AutoNumber add-in? By specifying this in the configuration form, an included utility can be run to populate existing records with an AutoNumber. 9. What do I need to do to make the entities that will be getting an AutoNumber ready? You just need to create an attribute on the entity of type text or numeric and make it read-only on the screen. 10. If I turn off AutoNumber for a selected entity and then restart it does it pick off where it left off? Yes, but records added while its off will not have an AutoNumber. You will need to run the Backfill utility. OnPremise Only. 11. Can I set the starting number of the AutoNumber? 12. Is the body number separated from the prefix and suffix with a dash like in the standard AutoNumber system? No, but you can add a dash in the prefix or postfix if you would like one. 13. Does the AutoNumber always increment by a count of 1 or can I change that? No, the AutoNumber increment can be set. 14. Does the AutoNumber always increase? No, the user can set the value to increment or decrement. Decrement is not available with the AN 2011 Online. 15. What are the constraints on setting the prefix and the suffix for an AutoNumber? The length of the prefix and suffix combined cannot be longer than the text field selected. 16. Can the prefix and suffix be set to increment or can they be set to generate a unique random number? No. The prefix and suffix are static values. AN 2011 Online the prefix can be variables such as a date field or a lookup value. 17. Does the AutoNumber process slow CRM down? When plugins are enabled, there is some additional overhead in CRM, however the AutoNumber process is highly optimized to minimize any slow down. 18. What happens when an AutoNumber gets longer than the length of the field? Will it recycle? 19. Can I set the format of the AutoNumber with leading zeros? Yes, you would do this by setting a fixed length. 20. Can I map an AutoNumber field from one entity to an associated record? Yes, so for example you can have an AutoNumber attribute on an Account form and when an Opportunity record is created from this Account, you can configure the mapping to copy the field value over to the appropriate field on the Opportunity form. 21. How do I access the AutoNumber user interface? The AutoNumber configuration interface is available from the Settings tab in CRM. There is no settings configuration required for AN 2011 Online. 22. When users are offline with the Lap Top Client for Outlook can they see the AutoNumbers? They can see AutoNumbers that have already been assigned, but will not for newly created records until they’re synchronized. 23. Will records be AutoNumbered when they are imported using the built-in import utility or other 3rd party import tools? 24. When a record is deleted or deactivated what happens to the AutoNumber assigned to that record? That AutoNumber will not be re-used. 25. Can I add AutoNumbers to records that were created prior to installing the AutoNumber utility? Yes, just define the AutoNumber field for the records, create an AutoNumber record and then use the Backfill utility. It will then go through and create an AutoNumber value for each record, starting with the oldest record first. Note: Additional organizations in a multi-tenant environment require additional licenses. The same applies for licenses for development/training/test environments. Additional organization licenses are 1/2 the price of the production license.